Discuss the status and future of climate modeling over the next decade and beyond. Assist in the development of a strategic approach for identifying the priority observations, research, and decision support activities that would lead to the greatest improvements in the understanding and ability to monitor, model, and respond to climate change. Provide recommendations for developing a comprehensive and integrated national strategy for climate modeling over the next decade and beyond. 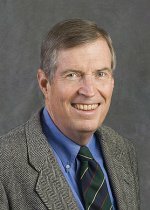 Edmonds is well known for his contributions to the field of integrated assessment of climate change and the examination of interactions between energy, technology, policy, and the environment. He has contributed to numerous assessments including those of the UN-convened Intergovernmental Panel on Climate Change. During his 35 years in research and teaching, Edmonds has written or co-written hundreds of publications and presentations. As part of the National Academies, the National Research Council advises the nation on scientific and technical matters. They bring together committees of experts in all areas of science and technology. These experts address critical national issues and give advice to the federal government and the public.